“Jimmy Savile was given free rein to sexually abuse 60 people, including seriously ill eight-year-olds, over two decades at Stoke Mandeville hospital due to his gold-plated status as a celebrity fundraiser, an inquiry has found.” from the Guardian, February 26, 2015. Also from the article, “Kate Lampard, who carried out an independent review of Savile’s activities, said the activities of the celebrity across the NHS were “scarcely credible”. This horrendous case is sadly not a one of a kind. Those instances are out there, whether they are reported or not. When researching volunteerism, I find stories of volunteers who hurt and abuse clients and steal from organizations in all parts of the world. And the question is, who is responsible for watching these people? One thing I have learned about volunteer managers is that we take volunteer management seriously. We know the good work done but we also do not fool ourselves into complacently thinking that everyone who wants to volunteer does so with pure motives. There are people who need to work out personal issues, people who need to feel worth, people who need to control, people who have agendas and once in a while, people who are psychologically sick. And the vulnerable population we serve is a perfect place for these people to operate. I remember a man who came to volunteer about 20 years ago. He sat on the other side of my desk and with an angelic smile, lied to me. He was so convincing and I was thrilled to have someone who had that passion to volunteer. I was completely oblivious to his odd need to volunteer and fortunately, before any damage could be done, we found out that this person had a history of bilking people out of their savings. (This was in an era before background checks). I felt the sting of being taken in by that slick presentation for many years. For a time, I questioned my ability to read people. But this is how dangerously convincing these folks can be. They can be master manipulators. For those of us who have gone through these learning trials, a healthy skepticism takes hold that quietly whispers, “Be careful. Follow up and check and check some more.” None of us believe that we can weed out potential problem volunteers by gut instinct only. But gut instinct becomes one tool that is sharpened over the stone of experience. Great volunteer management prevents vulnerable populations from being abused and exploited. Most of us have had “celebrities” or people of note come to volunteer because they need us for something, such as the political hopeful who wants to appear in touch with constituents, the burgeoning business owner who swoops through for publicity, or the local tv star that volunteers once and adds it to a long resume of half truths. It is true that volunteer managers give people a chance to volunteer while skeptically wondering about their deep motivations. 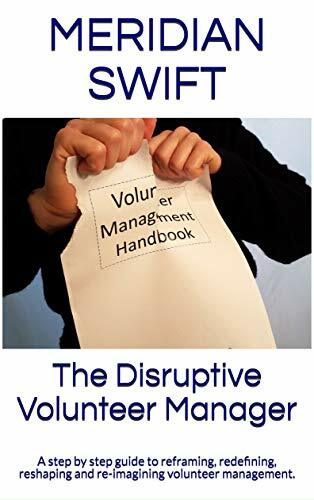 But the point is, volunteer managers do not let down their guard, not for celebrity, not for power brokers, not for smiling people of any background or status. And when the CEO sends us a neighbor’s troubled child or a major donor to volunteer, we say “no.” But if we are forced to take that volunteer anyway, we keep that person away from our clients, near us where we can watch them. It’s a burden on us, but that’s what we do. We, volunteer managers are the first line of defense for the people we serve. When we go home, after a day of managing people, we look ourselves in the mirror and we expect to be proud of what we see. Will we stand idly by while there is a volunteer potentially abusing a client, stealing from the organization or harming in any way one of our vulnerable population? Not on our watch. Organizations everywhere need to put resources into volunteer management. They need to hire competent, dedicated and ethical people who will challenge the status quo at times. They need to then support those people with seats at planning meetings, educational opportunities. and recognition of the challenges of managing unpaid staff. Organizations need to recognize that each and every member of a volunteer department is actually a manager of human resources, not just a coordinator or specialist or whatever fluff title they have chosen. Because, every day, these volunteer managers are promoting the good work and capital of volunteer help while ensuring that an organization does no harm to the clients. After all, is any amount of fluff thinking worth the abuse of an ill eight year old? Any? Not while we volunteer managers are on duty. 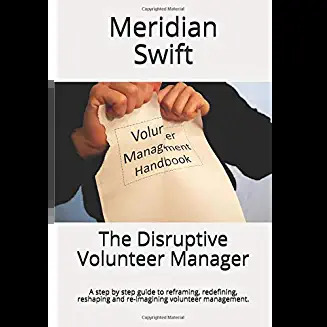 Bravo Meridian, for recording your experience and demonstrating so clearly the need to support management of volunteers – and also our expertise in the psychology of human behaviour. Thank you for tackling a very emotive issue with this post and as you say, it really does stress the importance of good volunteer management. This excellent post from Meridien really stresses the importance of good volunteer management! Hello and thank you both for your leadership in this area. Your unwavering support of volunteer managers and management inspires the rest of us to stand up for our work. Together we can all change the way volunteerism and volunteer managers are perceived. Thank you for your kind words. I think it’s important to keep finding ways of demonstrating the value of good volunteer management and having systems in place. If only one person changes the way they do things with volunteers, it was worth it!